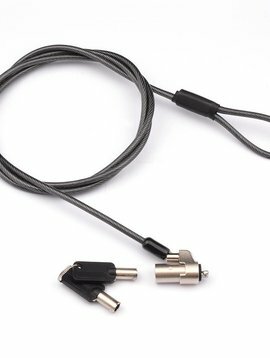 Secure ultra-thin devices with this ultra-small cable lock from SecuMate. Suitable for the standard Kensington security slot, and for the smaller Noble Security Wedge system. Available as a key or combination lock. Tablet Lock is a universal anti-theft lock that fits all brands of tablets and iPads. 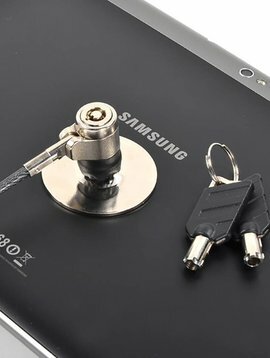 It is supplied with everything you need and it can be removed without damaging the tablet. Can be supplied with a combination lock or padlock. Both simple and effective; the SecuMate USB port locks. 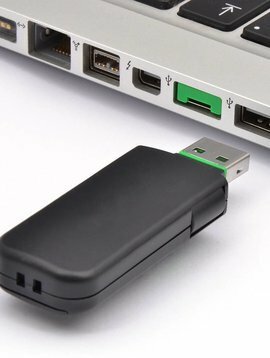 These locks physically disable the USB ports in your equipment, thereby helping to prevent data theft. 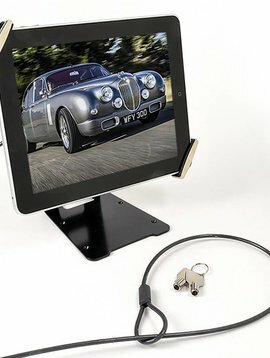 SecuPaddock is a universal tablet stand complete with a security cable and lock. Fits all brands of tablets and iPads. Available in 3 colours and with the option of a combination lock or padlock. Solid steel SecuPlus PC security housing. The SecuLocker Pro is an effective solution for situations where even the strongest cable offers insufficient protection. 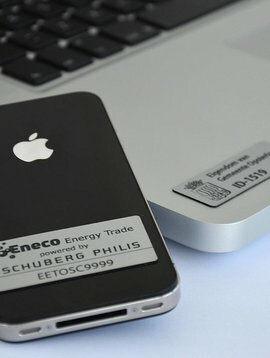 Mark your property with SecuMarker ownership labels. An affordable and completely customizable solution for providing valuable equipment with permanent ownership identification marks. iPad cover with security cable and lock. Fits all iPad models. 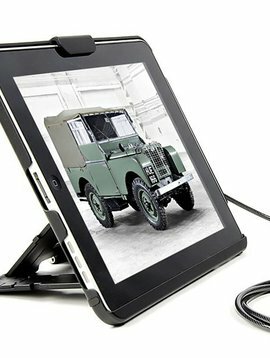 Helps prevent theft and makes it a lot easier to present the iPad attractively in a waiting room or on a reception desk. 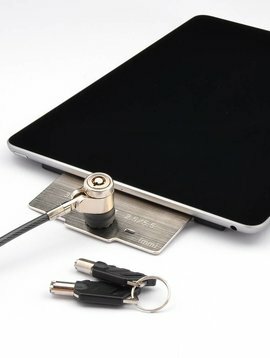 Handy SecuPlus security set ‘for chaining up’ an iPad. NB! Not exclusively for the iPad. This set fits all brands of tablets and valuable equipment. 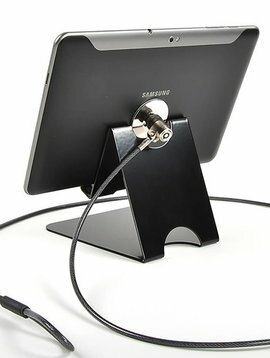 Universal tablet stand complete with anti-theft cable and lock. Available in 2 versions and suitable for tablets from 7" to 13". Intelligently designed aluminium cover for most iPad models. Comes complete with a cable lock and can be optionally extended to include a solid table stand. Secure and 'handy' table stand for the iPad Air. Comes complete with a cable lock. Available in three colours that match the iPad Air.